PHP is by far the easiest language to learn. Thanks largely due to its similarity to C and Java. For new developers, PHP is often what they start with because it is so easy to learn. Thanks to its popularity, support for any issues is easy to find. You can get support from forums, guides, blogs. PHP open source so there is a large movement behind support. For developing ASP, your only choice is Microsoft Visual Studio. PHP on the other hand has a plethora of development environments available. Most of them free. You could even just use Notepad++ or just plain and simple Notepad if you prefer. PHP is free. Updates and support is free. There are no licenses or restrictions whatsoever. Even for an organization starting out, the fact there are no upfront costs is a big incentive. 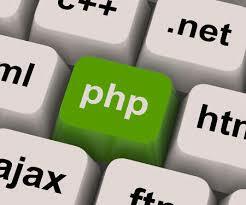 Many popular database and other systems integrate well with PHP. This integration is built in and as a result is also very stable. PHP powers almost 30% of the web and so can be expected to be integrated with upcoming products as well.